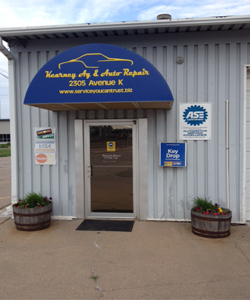 Kearney Ag & Auto Repair Offers Auto Repair Services You Can Count On! 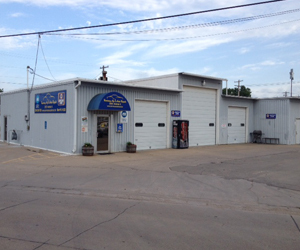 Since 1988, Kearney Ag & Auto Repair has provided motorists in the Kearney, NE 68847 area with comprehensive auto repair services that include Alignment, Car & Truck Care, Domestic Cars & Trucks, Electrical Services, Electronic Services, Engine & Transmission, Engine Maintenance, General Services, Heating and Cooling Services, Import Cars & Trucks, Miscellaneous Services, Transmission Services and Undercar Services. Our goal is to offer the best services available at affordable prices to get you back on the road in no time. For a high-performing vehicle, trust Kearney Ag & Auto Repair with your car, truck, or van. To learn more about the services we offer, please contact us by phone at 308-236-7159 or send us an email. We also invite you to learn more about our dedication to you, our valued customer.